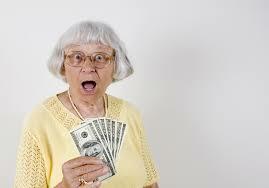 Are You Overpaying for Nursing Home & Elder Care Facilities? According to recent studies, many families are spending a significant portion of their income and savings on elder care. Making matters worse, adult children are struggling to juggle jobs, their children, and the responsibilities of caregiving. According to a Congressional Budget Office report, “informal” caregivers provided at least 11.2 billion hours of unpaid care to family members and friends in 2011. The report also revealed that seniors and their families spent $36 billion on nursing homes and other long-term care facilities. This isn’t even necessarily all of the costs associated with elder care, as many families spent money on increased utility costs and special supplies without ever applying for tax breaks. Gary and Phyllis Hansen, who cared for an aging relative over an 11-year period, spent thousands of dollars on home renovations to provide a safer environment. "If there were any deductions or anything like that we could have used, we didn't know about it, and we didn't have time to figure it out," Mr. Hansen says, "We just paid for it." Other families have made similar expressions about nursing home costs and other charges associated with elder care. Fortunately, more and more families are becoming educated about different elder care options. Understanding the value of home care systems and home care software has helped many to make the decision to use a professional caregiver, rather than relying on family members or using an expensive care facility. How can families determine if they are overpaying for elder care? One way is to evaluate the kind of care your loved on actually needs. Many families end up placing relatives in a long-term care facility unnecessarily, which can be very costly. The average family caregiver is a 49-year old woman who dedicates at least 20 hours to caregiving, has at least one child at home, and works secularly. In addition to feelings of isolation and depression, most caregivers admit experiencing significant financial strain and tension. Such overworked caregivers benefit greatly from taking advantage of home care systems and home care software – such as ClearCare Online. Home care systems and home care software not only allows seniors to stay safe and comfortable in their own homes, it also gives families a much-needed break from caregiving responsibilities. If you have questions about elder care, home care software, or where to turn for help, contact ClearCare Online today.